The following is an interview with Barbara Mayes Boustead, a forecast meteorologist and climate program manager at the National Weather Service office in Omaha/Valley, Nebraska. She’s also the co-chair of “LauraPalooza 2015: Through Laura’s Eyes”. Barbara Boustead speaking in June 2012. Q: Tell me about your background in meteorology and what your study focus has been? I have been a meteorologist with the National Weather Service for twelve years, with a focus especially on the connections between climate patterns and weather. My Ph.D. dissertation work focused on the weather of The Long Winter. How bad was it? Was Laura’s description accurate? Does it compare to any other winters in our record books? What contributed to that winter being so severe? How does our access to weather information now better prepare us for harsh winter conditions? How would modern Plains dwellers be vulnerable to a winter like that? 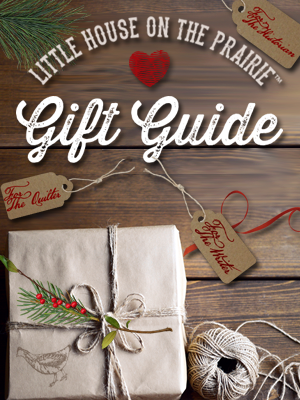 Oh, there are so many questions to answer — and that’s just about The Long Winter! Laura included many weather and climate events in her books, and I’m working on picking them apart to document their accuracy and describe their impacts. 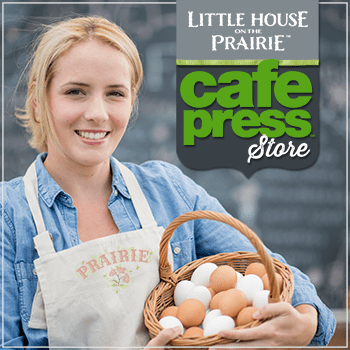 Q: Why was Little House on the Prairie such an inspiration to you? 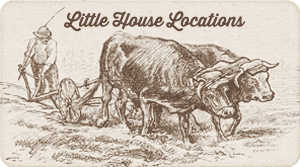 I remember distinctly when my mom brought home a copy of Little House on the Prairie for me, when I was in first grade and ready for my first real chapter book. I think she had found it at a garage sale, and I wrinkled my nose at it. She told me to give it a chance, and of course, I loved it. I devoured the rest of the book series within a couple of years and reread the books several times right through my teen years and into adulthood. I was captivated by their evocative descriptions, their historically-based information, and the characteristics of the families. I always wondered how accurate the descriptions of weather events were in the books, and when I reread them a few years ago, it occurred to me that I’m a meteorologist and have the tools to look them up! Once I started, I just couldn’t stop myself! 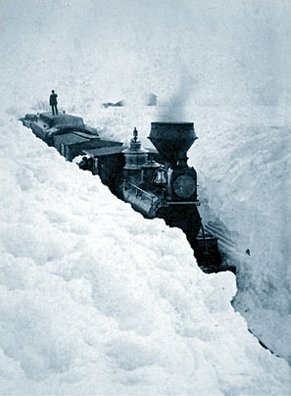 See how high the snow is packed around this train near Sleepy Eye, Minnesota, in March 1881. Q: Laura Ingalls Wilder’s books contain some magnificent details about weather and how it impacted her family in very real ways. What trends did your research reveal to you about the descriptions in her books? Do they ever! The most surprising thing to me about Laura’s descriptions of weather and climate events in her books was how accurate she was. Sure, she took some license with the timing of events or in some of their descriptions, but the major events in her books were remarkably accurate, especially considering how much harder it was to access weather records at the time Laura wrote her books compared to today. The impacts of these events on her family were fairly representative of the time and place in which they lived, but were made so real and accessible to readers through her words. Q: Have you watched the show? Which episode is your favorite? I actually really haven’t watched the show, other than a few episodes when I was very young (couldn’t say which ones they were). The departure of the show from the books was too much for my brain to take as a child! I do love that the show led a surge of interest in the Little House books. Q: Will your dissertation be available online? Where can we read more about your research? My dissertation is available online, but beware — it’s pretty scientifically technical! For more readable tidbits, I keep a blog called Wilder Weather and also have a Facebook page by the same name. My blog activity seriously decreased while I was in the sprint to finish my dissertation, but look for more activity in the coming months! Congratulations on completing your studies – such a fascinating topic. Barbara Mayes Boustead is a forecast meteorologist and climate program manager at the National Weather Service office in Omaha/Valley, Nebraska. A Michigan native, Barbara obtained her Bachelor of Science and Bachelor of Arts degrees from Central Michigan University in 2000, with majors in meteorology, geography, and English, and minors in mathematics and history. Barbara earned a Master of Science degree in meteorology from The Pennsylvania State University in 2002 and a Ph.D. in Natural Resources with a specialization in Climate Assessment and Impacts from the University of Nebraska-Lincoln. 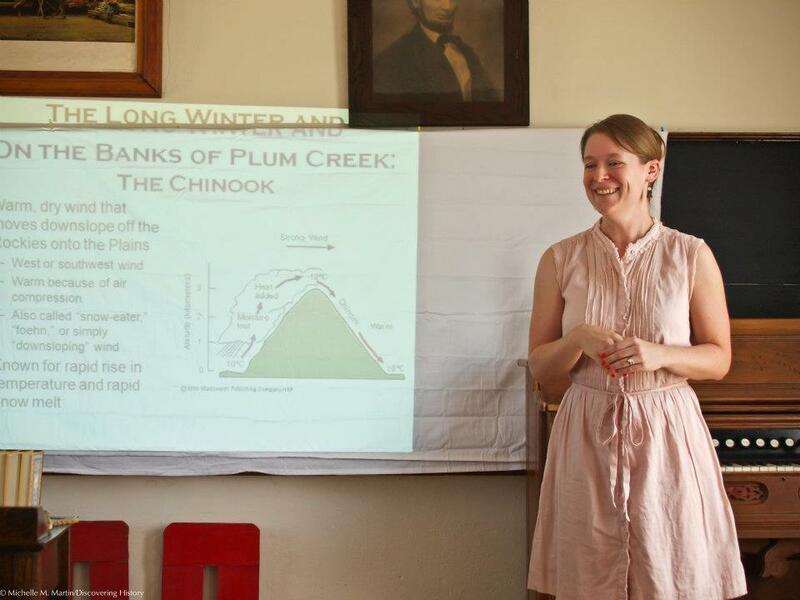 Barbara’s professional and research interests, beyond the intersection of Laura Ingalls Wilder and weather/climate, include topics such as climate (including climate variability, change, extremes, applications, and impacts), historical weather and climate events, severe and extreme weather, and improving communication of weather and climate concepts. Barbara is co-chair of “LauraPalooza 2015: Through Laura’s Eyes”. You can find more of her writings at Wilder Weather website. 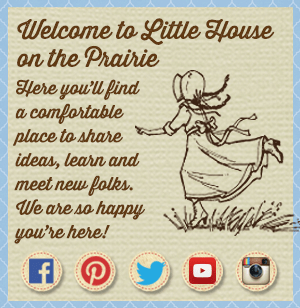 Be sure to subscribe to Little House on the Prairie newsletter to get the latest blog posts and updates. 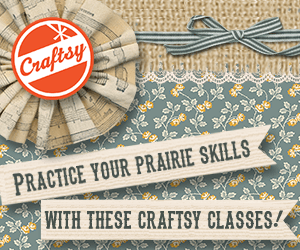 I always loved Little House On The Prairie! I even see it now when it is on the TV!